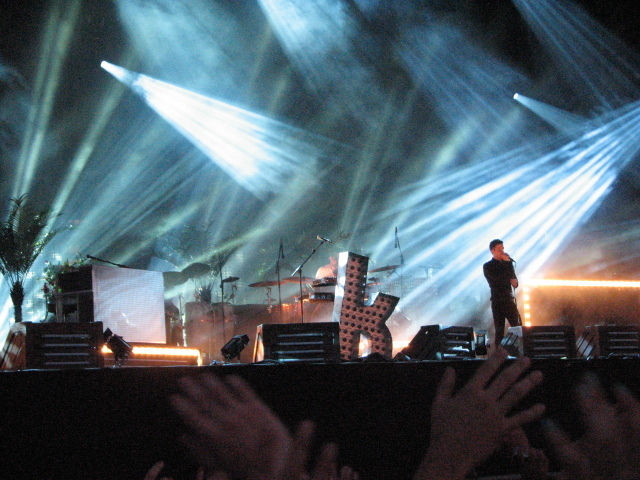 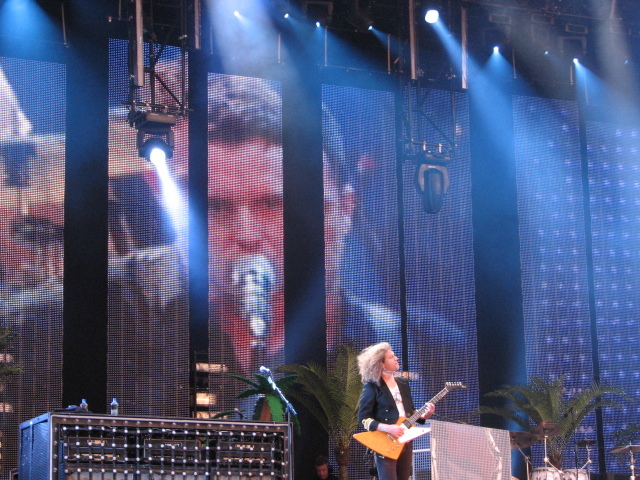 From 2005 for three albums, the Killers just plain excited the pop world. 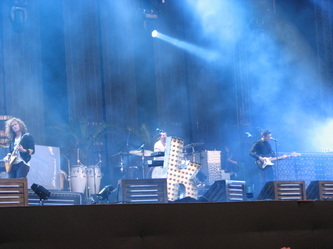 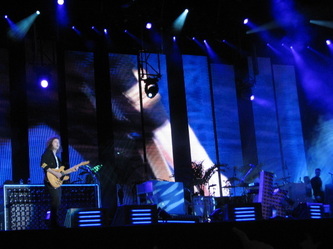 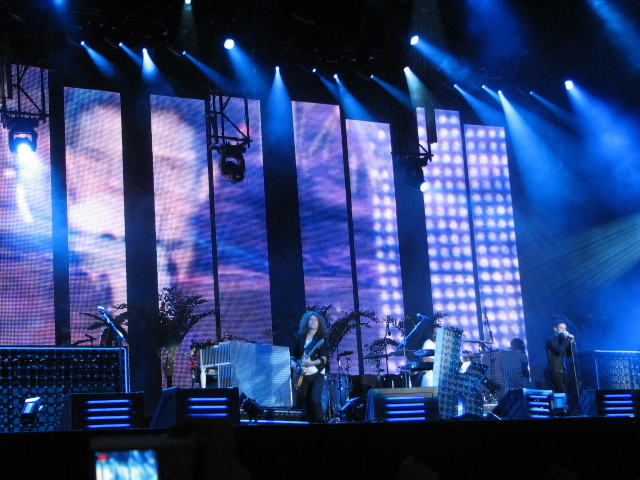 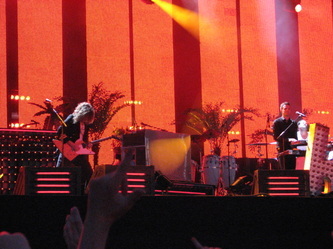 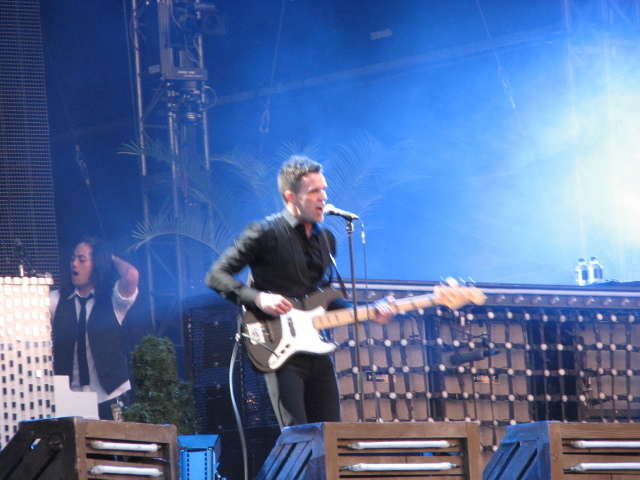 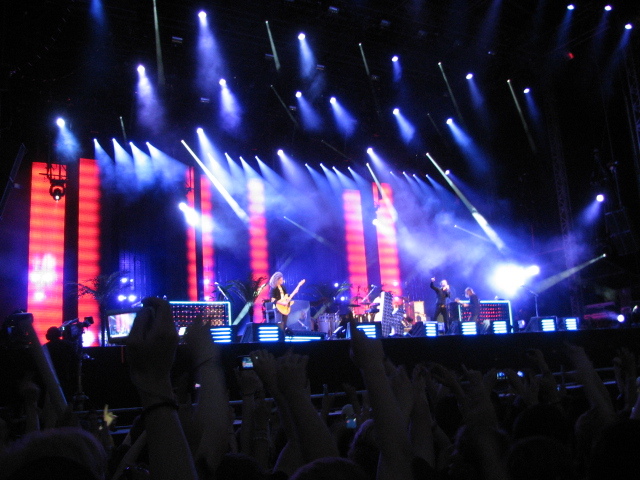 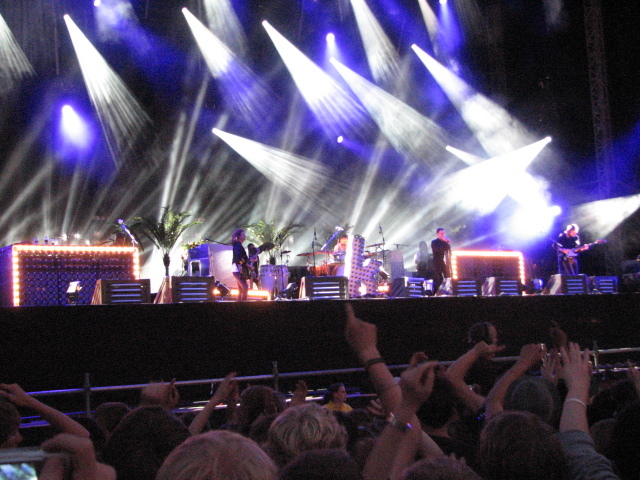 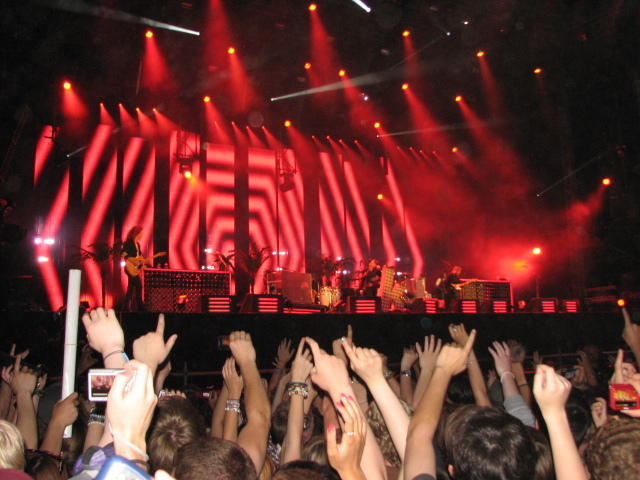 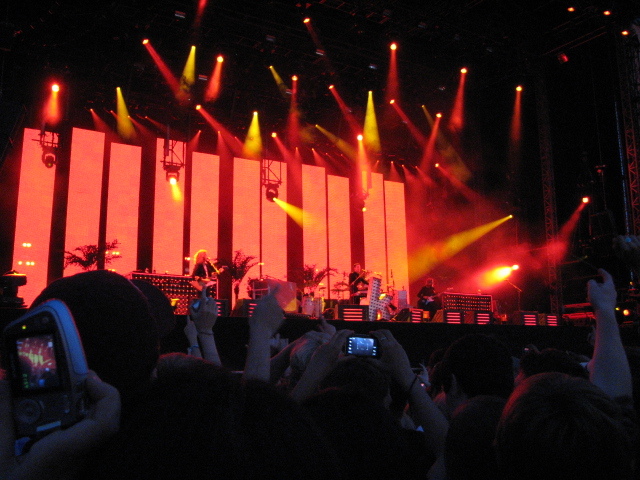 "Hot Fuss", "Sam's Town" and "Day & Age" spawned single after single - "Mr Brightside", "All These Things I Have Done", "Smile Like You Mean It", "Somebody Told Me", "When You Were Young", "Read My Mind", "Human" and "Spaceman". 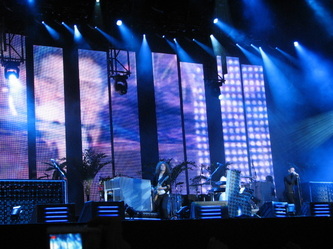 They seemed unstoppable and graced festival after festival. 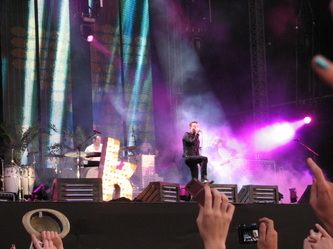 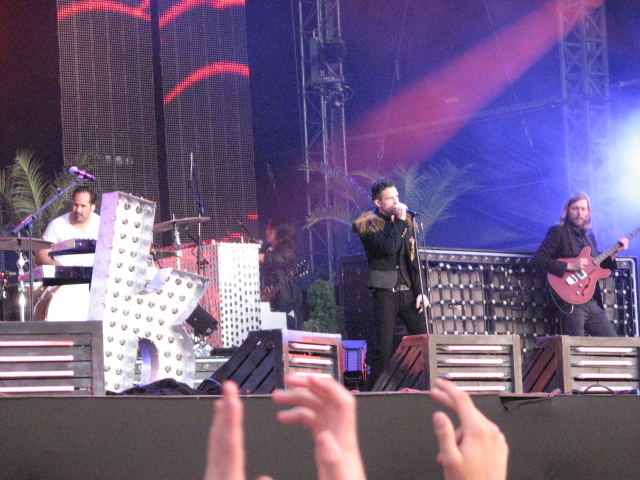 As I have said, the Killers are just so exciting to watch. 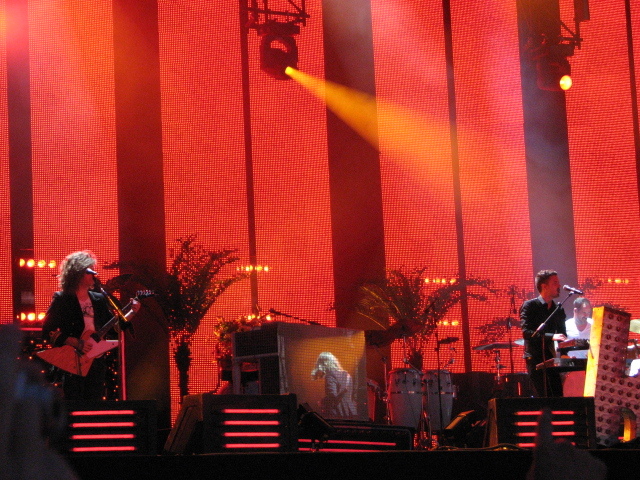 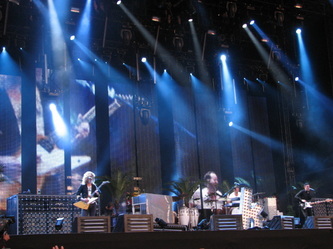 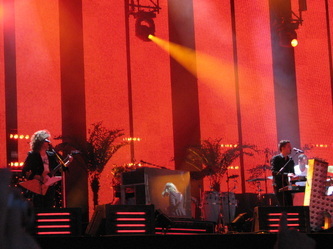 Their inclusion in the line up for Live8 in 2005 caused rows between Bob Geldof and promotor Harvey Goldsmith - Geldof stating that they were the biggest band currently on the planet and Goldsmith saying that their was not enough time on the bill (Geldof won). 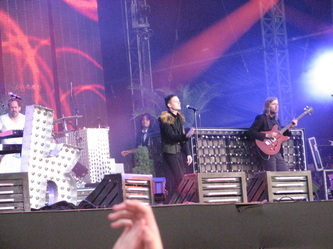 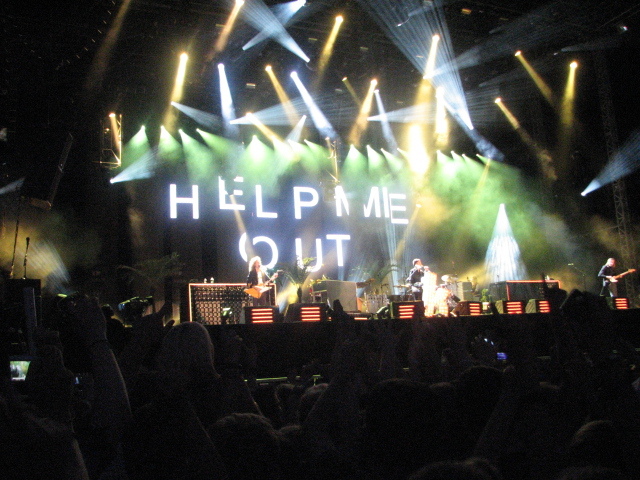 I saw them at Hard Rock Calling at Hyde Park in June 2009. 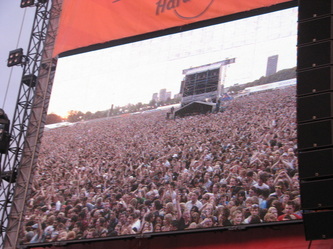 A joyous day. 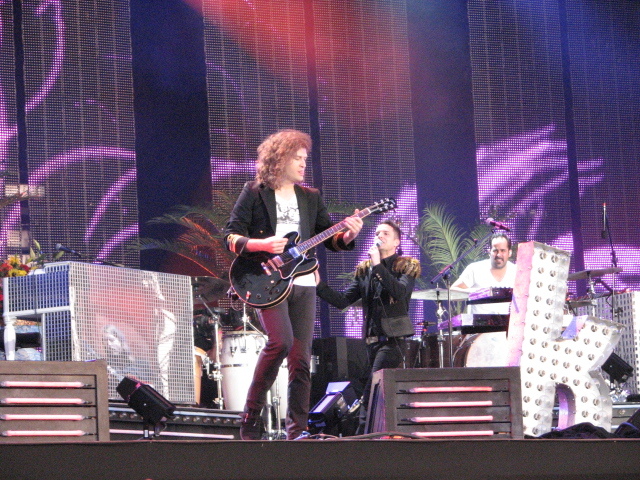 After touring for 2008's "Day & Age" ended in 2010, the band had a hiatus and came back in 2013 with "Battle Born". For me, not as vital a record and sounding strangely tired. 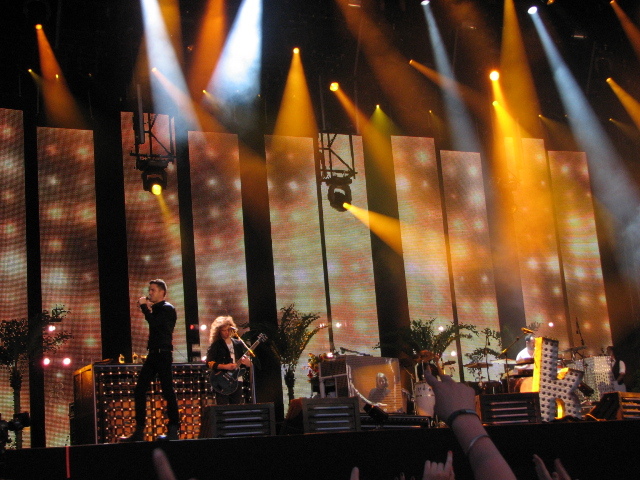 That said, in those heady years until 2010, certainly when I saw them the Killers were the biggest pop phenomenon on the planet. I have taken these photo at events or gigs that I have attended.